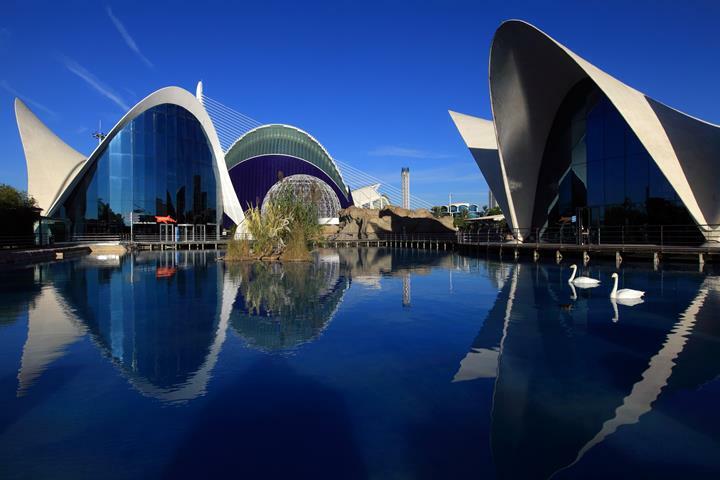 Valencia is the beating heart of its own province with a population of over 800,000 by city limits and 1,500,000 by urban area making it the third largest city in Spain and 15th largest in the EU. A vibrant, modern city, it is one of the most important cities of the Mediterranean coastline, a prestigious commercial centre and currently Spain's Formula One venue. The city of Valencia was founded by the Romans in 137 BC as Valentia (meaning strength or valour). The city boomed under the rule of the Moors, becoming famous in the trade of many essential and exotic goods including paper, silk, leather and ceramics. The city remained an important strategic and cultural location to be had as it has been repeatedly captured and occupied by Spanish and external forces for almost a millennium. 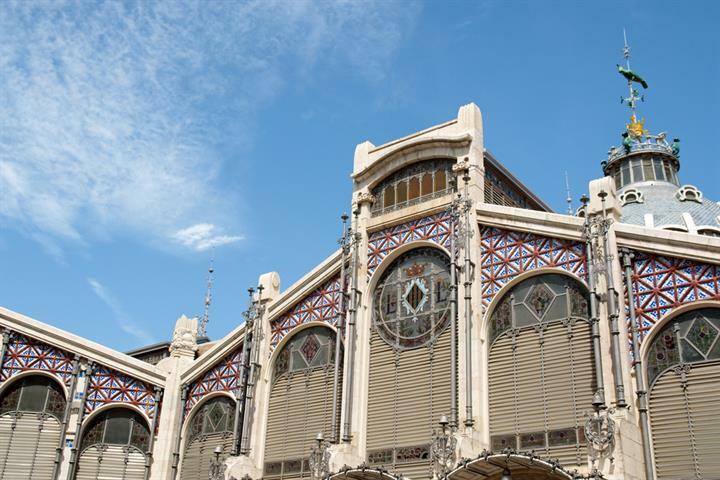 Valencia retains much of its past in its architecture having direct Roman, Arabic and Gothic influences. Valencia Cathedral was built between the 13th and 15th century and is primarily Gothic in style but contains elements of Baroque and Romanesque architecture. 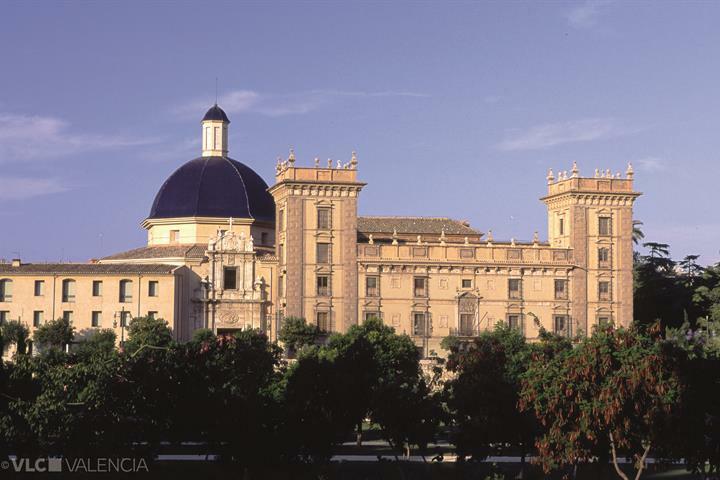 La Lonja de la Seda, the silk exchange market, has been recognised by UNESCO as a world heritage site. 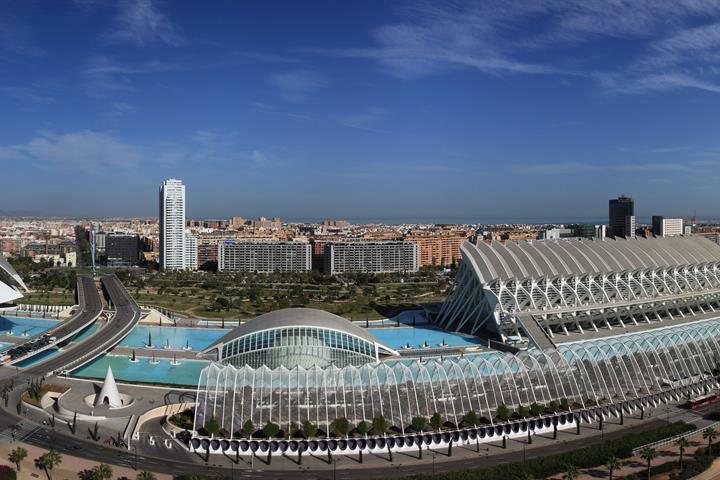 There are many historical sites to be visited in Valencia, but as a modern city there are also examples of contemporary architecture; most famously the Ciutat de las Arts I les Ciênces (the city of Arts & Sciences), an incredible entertainment and cultural complex designed by Valencia's own Santiago Calatrava. Valencia is the birthplace of Paella, often considered Spain's national dish by many non-Spaniards, but considered in Spain as a provincial dish of Valencia. 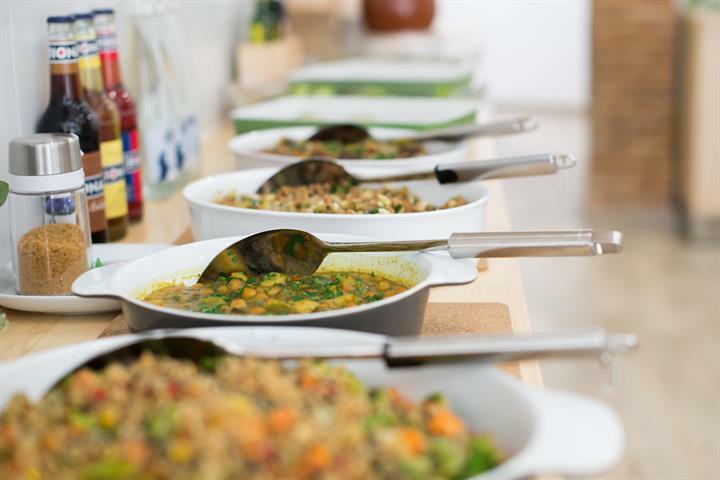 The Valencian Paella usually consists of meat rather then seafood, however all varieties can be found in the city. Aside from paella, the city boasts numerous restaurants catering for every single taste and whim, but as expected seafood in the city is particularly special. 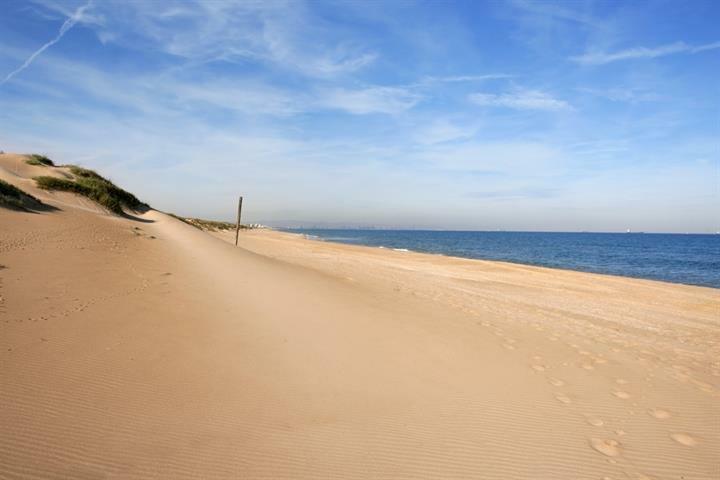 Valencia has more then 100 km of coastline, much of it being home to fantastically kept beaches, distinguished as Blue Flag beaches, for their high standards. Along with 2,600 hours of sun per year, visitors flock to the beaches of Valencia every year – both national and international tourists alike. The city has its own international airport along with fantastic connections by road and rail to locations across Spain and the rest of the continent. 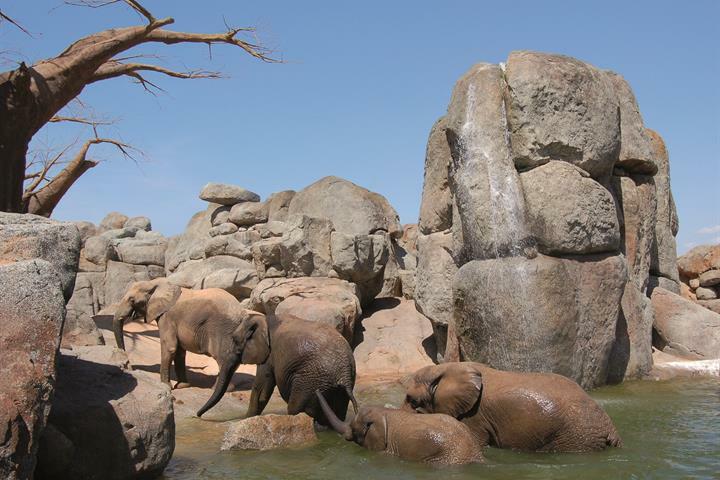 With its temperate climate of mild winters and warm summers, the huge variety of things to be seen and done, all in all Valencia makes for the perfect getaway destination all year round. Наслаждайтесь мягким средиземноморским климатом на пляжах Валенсии. Хорошо оборудованные и легкодоступные, они идеально подходят для семейного отдыха. Валенсия - идеальный город для отдыха с детьми. Парки, пляжи - все поблизости, а в качестве бонуса - Город искусств и наук и футбольный стадион! Погрузитесь в культуру, посетив лучшие музеи в Валенсии во время Вашего пребывания в городе! Откройте для себя прекрасный Центральный рынок Валенсии: взрыв цвета и вкуса. Идеальное место, чтобы погрузить в культуру города! Попробуйте вегетарианскую кухню в Валенсии. Откройте для себя лучшие "зеленые" места в самом центре этого солнечного прибрежного города. Спортивные звезды, такие как Энди Мюррей, Рафа Надаль, Давид Сильва, Хуан Мата и Кике Санчес Флорес-все встречаются на спортивных событиях в Валенсии. Искусство, архитектура, театр, развлечения - этот список можно продолжать вечно! Узнайте сами, что таит в себе Город искусств и наук! Говорят, этот город - "другой мир". А вот почему?